I love beverages. I love hibiscus iced tea, Diet Pepsi with a slice of lemon, pretty sweet cocktails, a glass of chilled white wine, hot chocolate with whipped cream and a steaming cup of coffee with cream. When I received an email from SanPellegrino asking if I'd like to receive a monthly supply of their SanPellegrino Sparkling Fruit Beverages, I said yes! After all, it's been an Italian tradition since 1932! Who am I to say no? The best part is that if you read this entire post, you'll have a chance to win your own supply of SanPellegrino Sparkling Fruit Beverages. Apparently, Italians like to take a moment each day from the ordinary and do something unique and unexpected. That's called Momento. SanPellegrino invited me to take my own Momento and share my experience with you all. I decided to take four such momentos with each one of the four flavors of SanPellegrino Sparkling Fruit Beverages. My first momento was during an Amtrak ride to visit my friends in Richmond, VA. 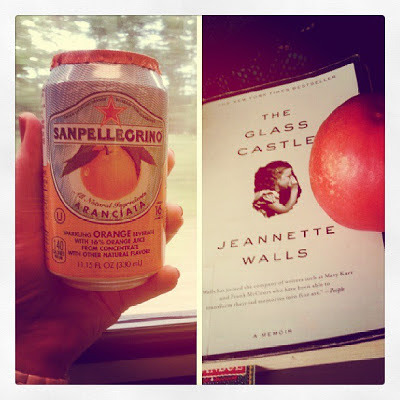 I paired Aranciata (Orange) with The Glass Castle by Jeannette Walls and a nectarine. I tried to ignore the guy sitting behind me who snored as he slept and instead enjoy the sweet bubbly drink. 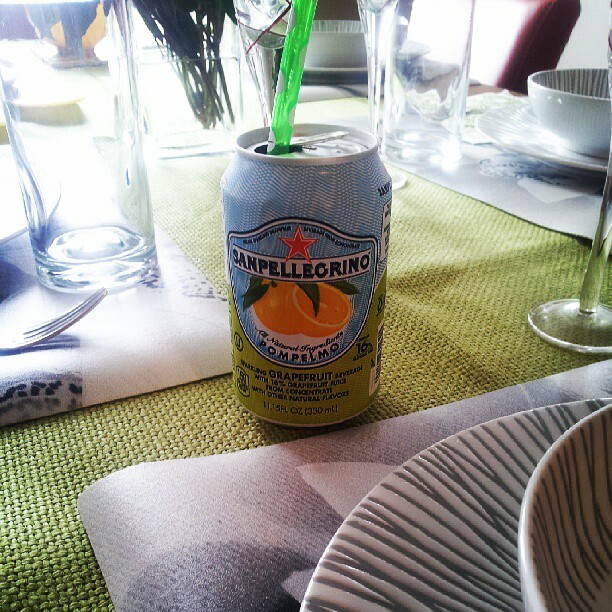 For my second momento, I took a break from cleaning, cooking, and setting the table for brunch with my friends to drink the refreshing Pompelmo (Grapefruit). Once refreshed, I put on some makeup and welcomed my guests. If you follow me on instagram, you know that I have been swimming for the last month. It's something that makes me feel better, but it's not something I love doing. To be completely honest, I'd rather sit or lay on the couch and watch Bravo :) So from time to time, I give myself little treats/incentives for doing something good. This was my third momento: Limonata (Lemon). The last flavor of SanPellegrino Sparkling Fruit Beverages, Aranciata Rossa (Blood Orange), was by far my favorite. It was my fourth momento: a little bit of an afternoon pick-me-up right in my cubicle. 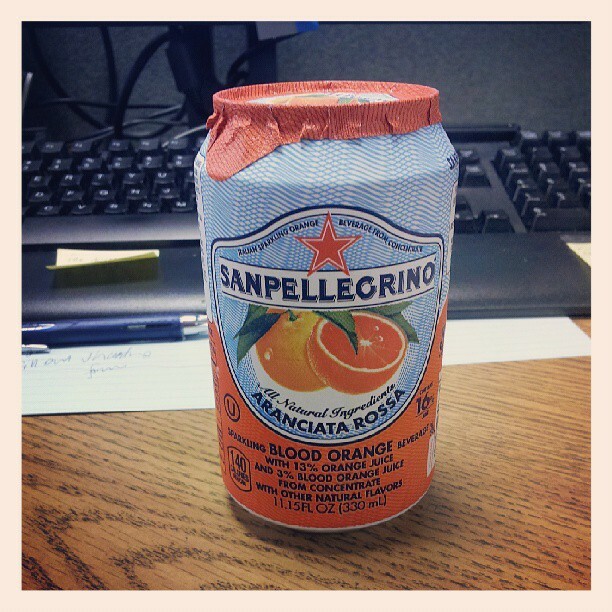 Have you tried SanPellegrino Sparkling Fruit Beverages? What's your favorite flavor? How do you take a momento? 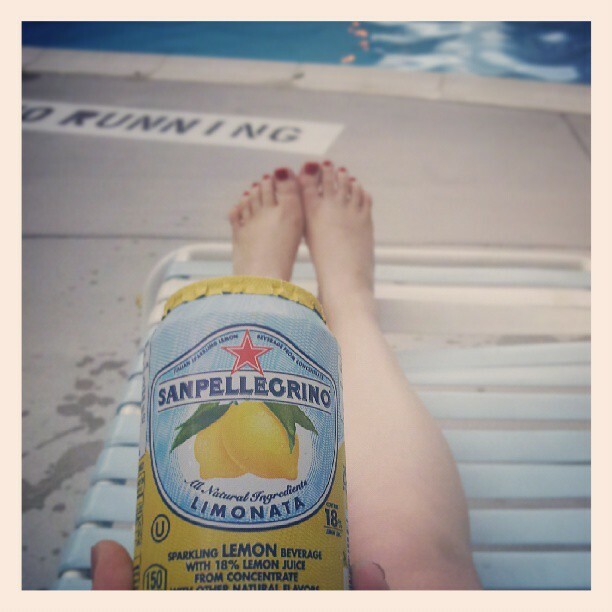 Disclosure: I was provided with 24 cans of SanPellegrino Sparkling Fruit Beverages. I was not compensated for writing this post. All opinions are my own. 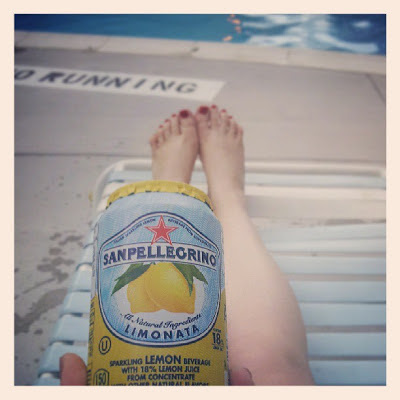 Official SanPelligrino Disclosure: SanPellegrino Sparkling Fruit Beverages is a fan of the author of this message and his/her content. As such the author has been provided with SanPellegrino Sparkling Fruit Beverages products to sample so that he/she can share opinions and experiences. All opinions belong to the author. I have the limonata in the fridge right now, but that's the only one I ever buy. I'll have to try the blood orange! Just entered. Would love to try the flavors and find my favorite!